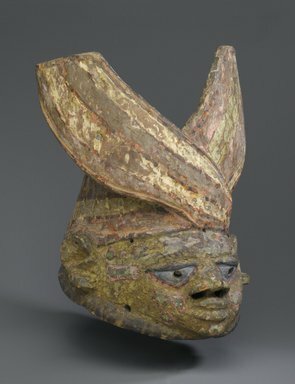 Mask with large elaborate headtie painted in many layers of yellow, blue, red, green, brown, and black. Nostrils pierced for wearer to see through. Condition is fair. Paint raised and cracked.